The default apache configuration installed without mod_perl. This can be a good idea in order to minimize the number of things that can go wrong. This post will covers the steps to enable mod_perl on linux CentOS 6.3. This will make Perl script be fast and increase the performance. 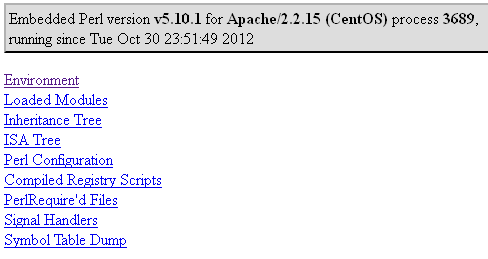 This post will show you the quick steps to install apache httpd on linux CentOS 6.3 server. Apache httpd is one of the most popular web servers and has a lot of features that make it very extensible and useful for many different types of websites. http://mirrors.hostemo.com/CentOS/6.3/updates/i386/repodata/1dbb6d68b2b39e2eab5888b04cfa0f20a86cb7c4ee54420384eaf8fa0f3d326d-prestodelta.xml.gz: [Errno 14] PYCURL ERROR 22 - "The requested URL returned error: 404"
This post will guide you how to install apache httpd service on linux Fedora 16. 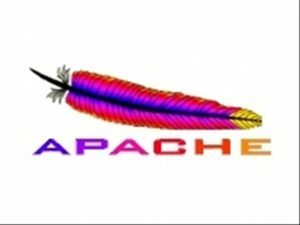 Apache HTTP is a popular web server for linux servers. Follow this steps to install apache httpd service. Apache httpd is one of the most popular web servers and has a lot of features that make it very extensible and useful for many different types of websites.This steps has been tested on CentOS 5.7 with direct internet connection. Change the ServerName on line 265 to your hostname above. 263 # redirections work in a sensible way.